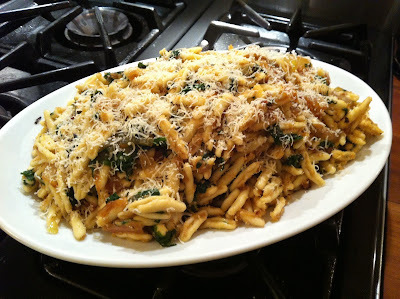 Caramelized onions make everything good but this combination with Swiss Chard and garlic bread crumbs is memorable. Peel, halve, and slice a couple of yellow onions and sauté over medium to high heat with butter or olive oil and a pinch of sugar…scrape and turn often. While those are cooking heat two peeled and squashed garlic cloves in a couple table spoons of olive oil so the garlic flavors the oil, if you’re an anchovy fan a couple of fillets work well with the garlic. After a few minutes add a cup of dried bread crumbs and toss well so the oil is absorbed before setting aside. Add some more oil to the pan and sauté your washed, deveined, and chopped Swiss Chard until it is soft. 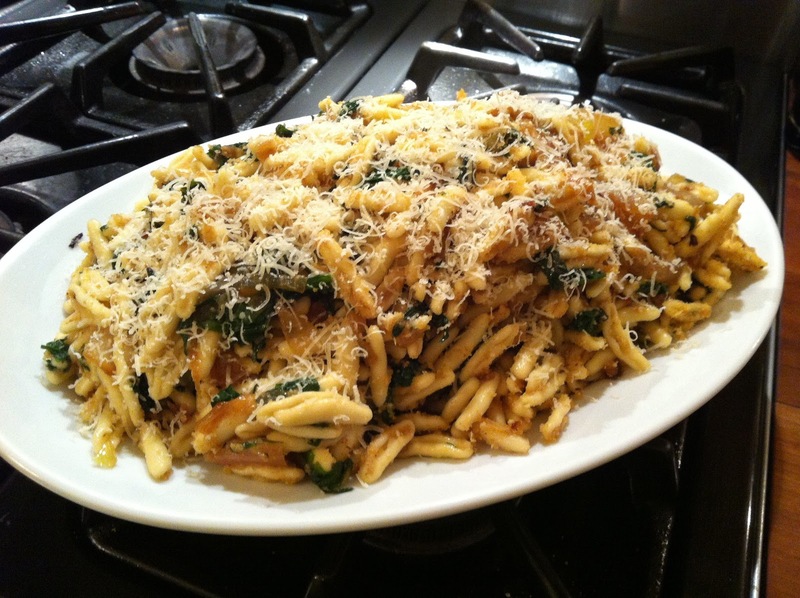 Once the onions are browned add to the Chard, salt and pepper to taste, and combine with the bread crumbs and cooked pasta of your choice….garnish with some parmesan…a hearty and flavorful pasta, perfect for this time of year.